Between 26 Oct 2017 and 17 Feb 2018, the OPAM package for camlp5 7.03 in opam-repository was under certain circumstances able to trigger rm -rf / on macOS and other systems which don't by default prevent recursive root deletion. This article contains advice on how to identify if your OPAM installation is affected and what you can do to fix it. TL;DR If rm --preserve-root gives a message along the lines of unrecognised option rather than missing operand and you are running OPAM 1.2.2, ensure you run opam update before upgrading your system compiler to OCaml 4.06.1. If you have already upgraded your system compiler to OCaml 4.06.1 (e.g. with Homebrew) then please read on. YOU MUST ANSWER NO TO THIS QUESTION. This script scans the directory identified by $HOME for anything which looks like an OPAM root. Virtually all users will have one OPAM root in ~/.opam and if you don't know how to run OPAM with multiple roots, then you probably don't have any others to worry about! In all cases, one fix is to install the latest release candidate for opam 2, and upgrade your OPAM 1.2 root to opam 2 format. The upgrade prevents OPAM 1.2.2 from being able to read the root. If you received the message above and choose to upgrade to opam 2 (the easiest way to upgrade a root is to run opam list after installing opam 2) and then run the opam-detect.sh script again. As before, DO NOT ANSWER YES TO THE Your system compiler has changed. QUESTION IF YOU ARE ASKED. If you do not wish to upgrade to opam 2, and there are many good reasons for not wanting to do this, there are two other possibilities. The easiest is to downgrade your system compiler back to 4.06.0 (or an earlier release). You can then run opam-detect.sh again and check the error message. As long as the message is no longer the one above, you can then run opam update to update the repository metadata on the switch. You can then upgrade your system compiler back to OCaml 4.06.1 again. To be absolutely sure, you can then run the opam-detect.sh script again and, assuming the message is still not the one above, you can then allow OPAM 1.2.2 to upgrade your system switch. This is the recommended course of action. If this happens, answer no, but at this stage your system switch will have been emptied of all packages (you can now safely run opam update of course). Of course, you can back-up the OPAM root prior to trying this. Once upgraded, you can then run opam update and reinstall the missing packages. This course of action is not recommended as the opam-detect.sh script will no longer help. You are strongly advised to back up your files before attempting this solution. On 26 Oct 2017, PR#10523 was merged which packaged camlp5 7.03. 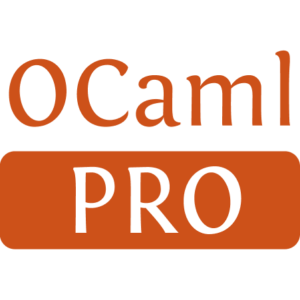 This was the first version of camlp5 released to opam which supported OCaml 4.06.0. Unfortunately, it was also the first version of the opam package to include a remove section which executed make uninstall. The package also contained an incorrect available constraint - it should have permitted only OCaml 4.06.0 from the 4.06 branch, but the constraint given permitted all versions. camlp5's configure script is responsible for writing config/Makefile with all the usual configuration settings, including PREFIX and so forth. This script includes a version check for OCaml and fails if the version is not supported. Unfortunately, even when it fails, it writes a partial config/Makefile to enable some development targets. Sadly this left the command rm -rf "$(DESTDIR)$(LIBDIR)/$(CAMLP5N)" in the uninstall target with all three variables undefined, leaving the certainly unwanted rm -rf /. Users of GNU coreutils have, since November 2003 (in release 5.1.0) had the --preserve-root option set by default, which causes rm -rf / to raise an error. Unfortunately, macOS does not use GNU coreutils by default. Prior to OPAM 1.2, the build and install sections of an opam file were combined. For this reason, if the build failed, OPAM would silently execute the remove commands in order to clean-up any partial installation which may have taken place. Although OPAM 1.2 recommended separating the build and install commands, this was not mandatory and it therefore retains the “silent remove” behaviour. opam 2 mandates the separation (and, if sandboxing is available, now enforces it). opam 2 also expects remove commands to be run in a clean source tree which, for this camlp5 case, means opam 2 users are UNAFFECTED by this issue. 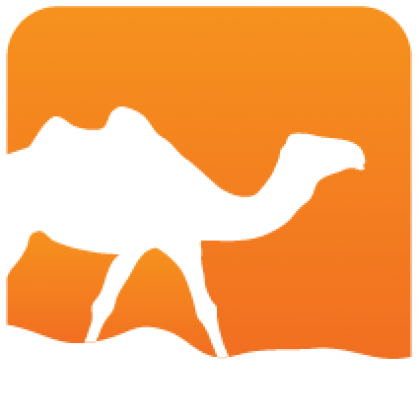 OCaml 4.06.1 was added to opam-repository on 16 Feb 2018 in PR#11433. During the following 48 hours, it was noticed that the camlp5 package was attempting to run rm -rf / (see Issue #11440) and the package was patched on 18 Feb 2018 in PR#11443. Unfortunately, the signifance of the GNU coreutils protection was not realised at this point and it was also assumed that the problem would only be hit if one were unlucky enough to have updated OPAM between the release of OCaml 4.06.1 to opam-repository and the patching of camlp5 7.03 in opam-repository (so 16–18 February 2018) and it was on this basis that OPAM PR#3231 was deemed to have been very unlucky. However, the real problem is the upgrading of the system compiler to 4.06.1, which wasn't noticed in that Issue but was correctly identified in Issue #3316. This unfortunately gives a much wider window for the problem - if you ran opam update between 26 Oct 2017 and 18 Feb 2018 and haven't run it since, then your system will be at risk if you update your system compiler to OCaml 4.06.1 without first running opam update. If the system compiler alters, OPAM 1.2.2 on virtually all commands (including opam update) first asks to upgrade the system switch. This step is mandatory, preventing further safe use of OPAM 1.2.2. Owing to the changes made to how opam 2 processes package installations, opam 2 has been unaffected by this situation but opam 2's lead developer @AltGr freely admits that this is more by luck than judgement. However, the second release candidate for opam 2 includes mandatory support for sandboxing on Linux and macOS. Sandboxing package building and installation will protect opam 2 against future issues of this kind, as a malfunctioning build system will be unable to operate on files outside its build directory or, during installation, switch root. Generated from camlp5-system.mdusing opam2web, courtesy of OCamlPro. Commercial support.